Even in the base model, the NVIDIA Shield is already an expensive streaming device. Most people don’t want to fork over the extra $100 to get the 500 GB of storage. But did you know, there are much cheaper ways to add more space for your movies, apps and games? 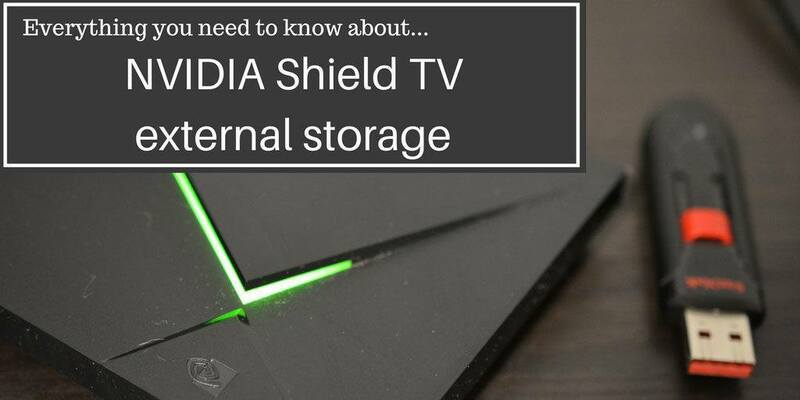 I’m going to walk you through the quick steps of how to set up external storage and tell you about some NVIDIA Shield TV external storage options that get NVIDIA’s gold seal of approval! The 2nd version of any gaming console normally takes everything that worked in the first version and shoves it into a smaller package. This is true of the 2017 version of the NVIDIA Shield TV. Usually, not everything is going to fit into that smaller package. 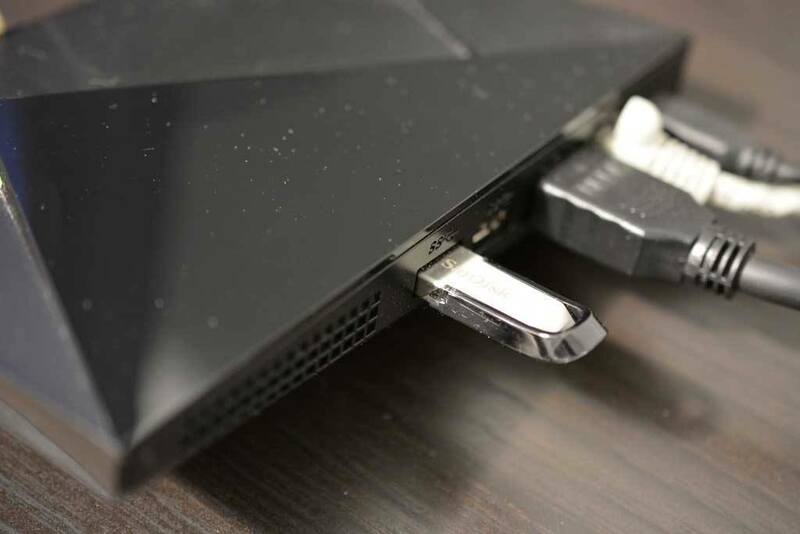 The big casualty for the NVIDIA Shield TV is the SD card slot. So if you’ve been used to using an SD card to bolster the storage of your Shield TV, you’ve going to have to look for other options. Thankfully, the Shield TV still has two perfectly good USB 3.0 ports just begging to be used. Many people (including me) got the 16 GB version of the Shield TV to save money up front. I’ll admit it, the Shield TV is an expensive media streamer. It’s tough to justify the extra $100 to upgrade to the Shield TV Pro when the main thing you’re paying for is a 500 GB hard drive. It’s much cheaper to buy the 16 GB version and add an external flash drive or hard drive when you need to – or when you find one on sale. 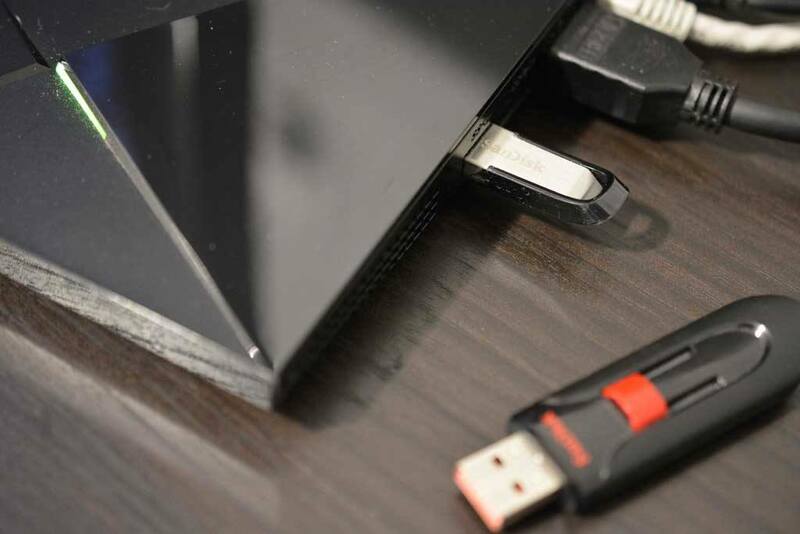 Sure, you can throw some video files on a flash drive and pop them in a device. But there’s so much more that you could be doing. If you’ve tried to save some money by getting the 16 GB version of the Shield TV, you can actually use a flash drive or external hard drive for extra storage for your apps and games. Even if you’re not a gamer, this is a big deal. Why? Because it leaves more room for your video files. If I want to get the best possible streaming video performance, I’m going to use videos that are stored locally. By that I mean files stored on the Shield TV’s internal hard drive or a flash drive directly connected to the Shield itself. Network storage is great. I store most of my library on a NAS hard drive connected to my router. But if you’ve got an older router, or a lot of devices connecting at the same time, your performance will suffer. The more you can play files stored on the device itself, the faster your streaming will be. 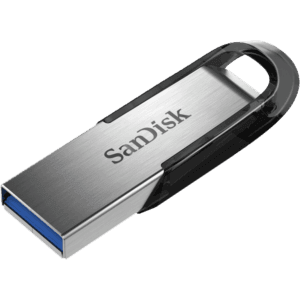 What flash drives will work with the Shield TV? It’s critical to get the right flash drive. The whole reason to use external storage is to get the performance boost from steaming files directly from your Shield TV. A slow flash drive will kill that performance. NVIDIA has a list of drives that they’ve tested, but here are my recommendations for the NVIDIA Shield flash drives with the best performance. I’ve listed the 128 GB versions of these drives, but many are also available in 64 GB and 256 GB versions as well. You may recognize the SanDisk Ultra Flair flash drive from the images above. It’s stylish, low profile and high-speed. It’s also one of the cheapest drives on this list. There’s really nothing not to love about this drive. 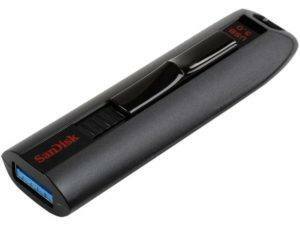 If you want speed without sacrificing quality, you should be looking at the SanDisk Extreme flash drives. They’re bigger than most of the other drives on this list, but they boast one of the highest read speeds of anything on this list. I’ve been building PC’s for over as long as I can remember. Corsair is my first choice for system memory. They’re high speed and almost bulletproof. The Patriot Supersonic Rage 2 is flat-out the fastest drive on this list. 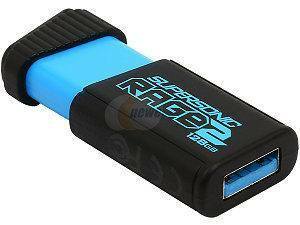 They don’t have the name or history of SanDisk or Corsair, but if you’re looking for pure speed, then look no further. Now that you’ve got a brand new, high performance flash drive for your NVIDIA Shield TV, let’s get it hooked up. 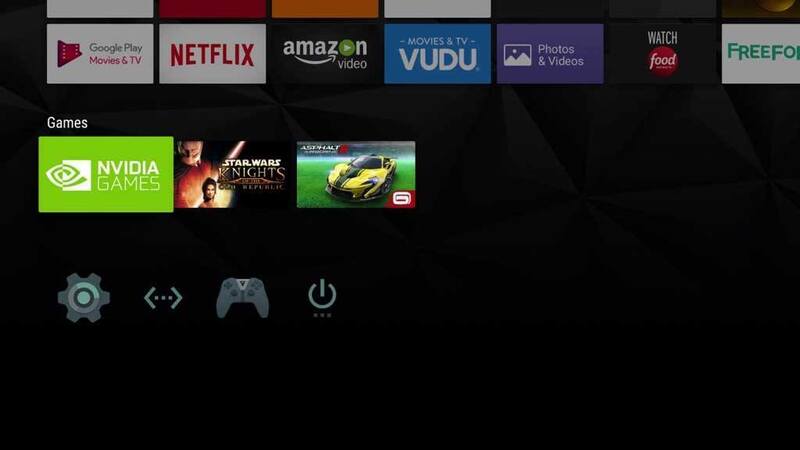 If you just want to throw some movies and music on your NVIDIA Shield TV external storage and pull them up in Kodi, then the process couldn’t be easier. Just pop in a flash drive or external hard drive and you’re good to go. But, if you want the added benefit of offloading some of your apps to free up even more space, then you’ve got a couple of steps to do. Don’t worry. The entire process is super simple. Plug in the USB drive to either of the two USB 3.0 ports on the back of your NVIDIA Shield. 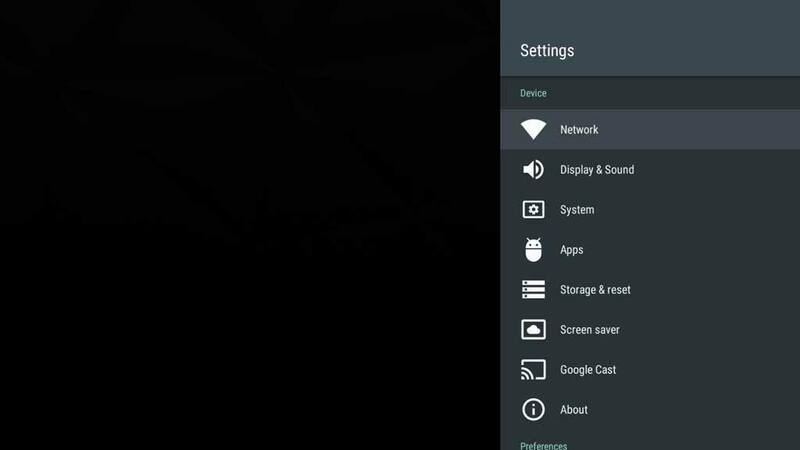 Click on Settings from the home screen. Click on Storage & Reset. Under Removable Storage, you should see the brand name of your external drive. Click on it. 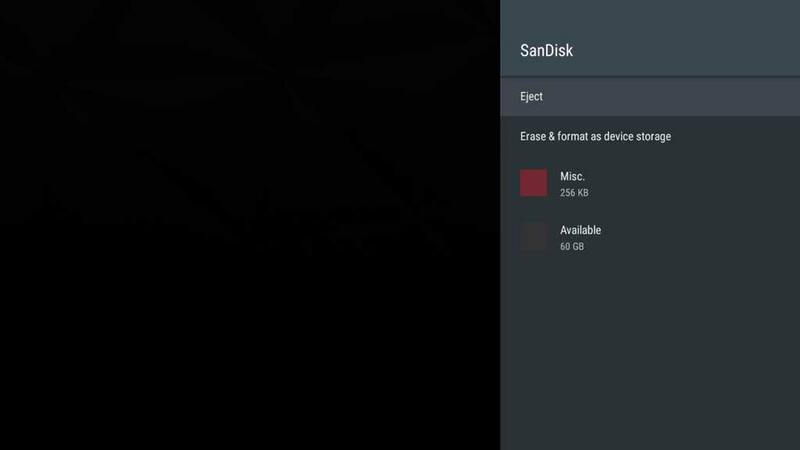 You’ll see two options, as well as a description of the types of files on the drive. 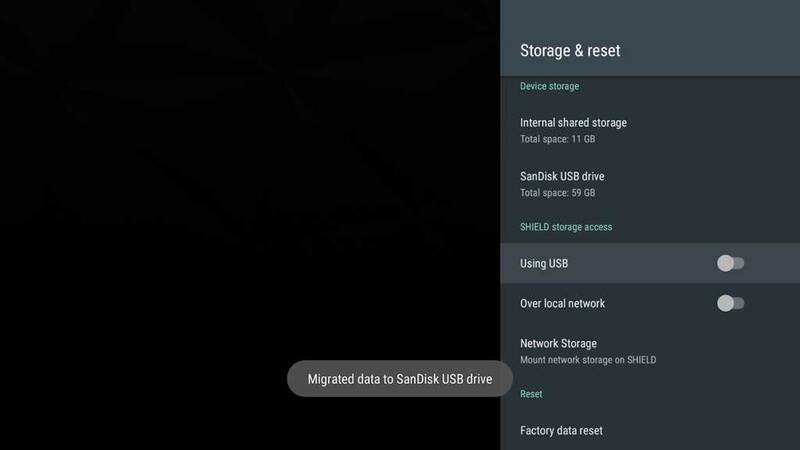 The options are Eject and Erase and Format as Device Storage. It’s important to always eject the drive before pulling it out of your Shield TV. I know, I know. We say the same thing about pulling USB drives out of your PC as well, but it really is important. You could lose files or corrupt the drive. It’s a simple step that only takes a few seconds. Just do it. 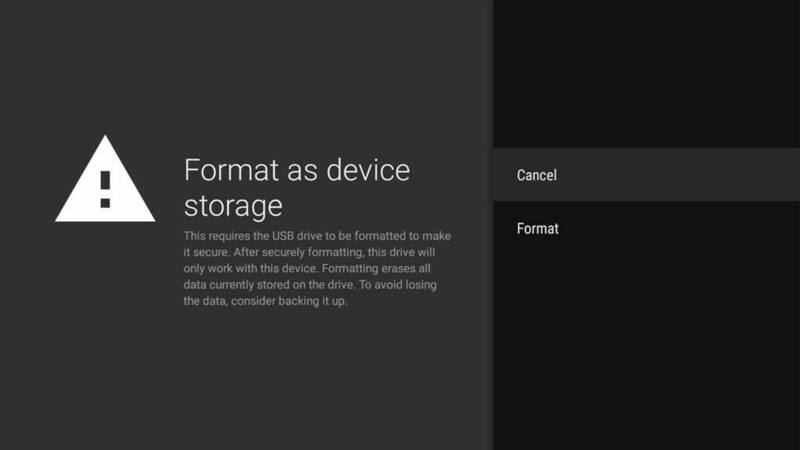 The other option is to Erase and Format as Device Storage. This will wipe out everything that is already on the drive, so if you’ve got anything important on there, do not select this option. Instead get those files off the flash drive and on to something else. 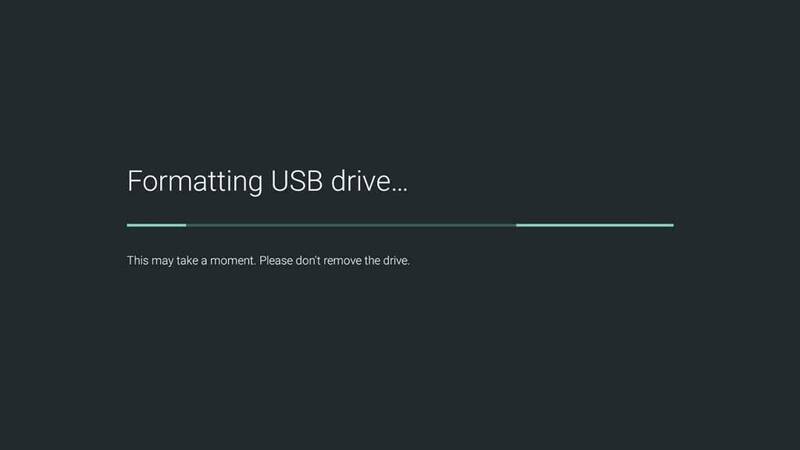 But since you’ve already got one of the recommended flash drives for the NVIDIA Shield TV, you can go ahead and format the drive specifically for your Shield TV. The faster the drive, the less time this will take. More importantly, the faster your video files will play on your TV. After the drive is formatted, some operating system files and will be automatically put on the flash drive. This won’t take up much space and its so the Shield TV can access those apps and files more efficiently. More importantly, you’ll also have your apps, photos, music and video files transferred to the external drive. Say hello to more space! 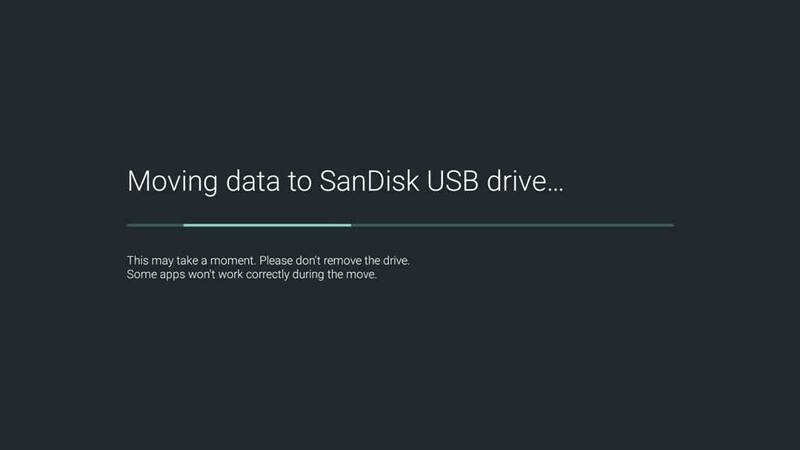 Have you installed a flash drive on your NVIDIA Shield TV? Do you have a favorite? Or…have you tried a drive not on this list? How’d it go? Let us know in the comments below. So what format does it use? 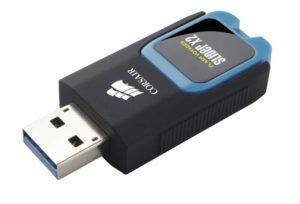 Can I use an NTFS drive? Yup. It will use NTFS. Hi, If I expand the internal (16 gig) on a nvidia shield tv with a usb drive can I ever go back to the original 16 gigs at any point? Yes you can. 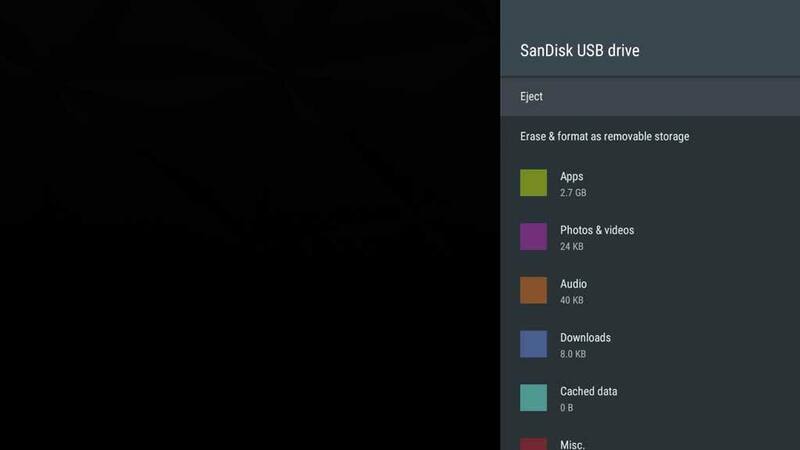 The USB drive will just show up as an additional drive that you can use for either apps or media. There is one caveat if the size of the system area data on the external drive is greater than the internal storage you cannot go back. What’s the maximum external storage? Would it accept a 4tb external drive? Sure does! Just plugged a 4TB WD Passport portable and it worked beautifully, playing my video files without a problem! Planning on testing by plugging in a docking station which has a few 6TB drives next just to see how that goes. Id assume portable SSD drives also no sweat for it. I have also read on another forum someone used a desktop 8TB drive with no problems, so there might not be a size limit to the usb drives you hook up. Though obviously with larger sized desktop drives, as with docking stations, they would need their own power supply. playusb storage nfts with large files? can i play large movie files fron NFTS external hard drive? Hi do i need any speed restrictions for a 2tb hard drive? I need to use it for download/play games and not to play movies on my Nvidia shield. What you suggest people? Tim, first of all thanks for all the resources you’ve provided and that you ARE WILLING TO ANSWER QUESTIONS for help. I’ve got a few months before I can cut the cord with Xfinity (other than internet). My goal is 3 TV’s and the ability to record TV shows & movies and play back anywhere in the house. HD Homerun Connect and a Plex Pass subscription at this time. 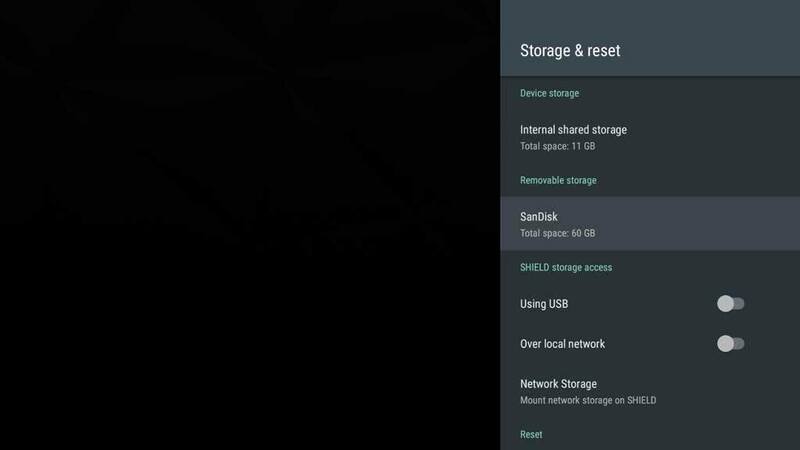 My question is External storage for the Nvidia Shield ? I liked the Patriot Supersonic Rage 2 you mentioned as a possibility. I would also consider the Seagate External as an option. I also have a WD My Cloud that I don’t use currently for network storage (but could if it’s the best option) because that seems much more complicated for the rest of the family to use (and for me to set up). What would you consider,with my goal in mind, for the best external storage? HOMERun requires subscription ?How is that ctting the cord?